Red & Gold from the outside on pedestrian busy St Marks looks more like another playful Ramen spot rather than a seriously good crab joint. Inside, I havent even peeked or leaked so dont know. We took advantage of a perfect day and grabbed a table outside. Opened about a year ago, when the owners of a four boat flee exporting crabs to China decided to let New Yorkers join in on the fun. And oh what fun it is. 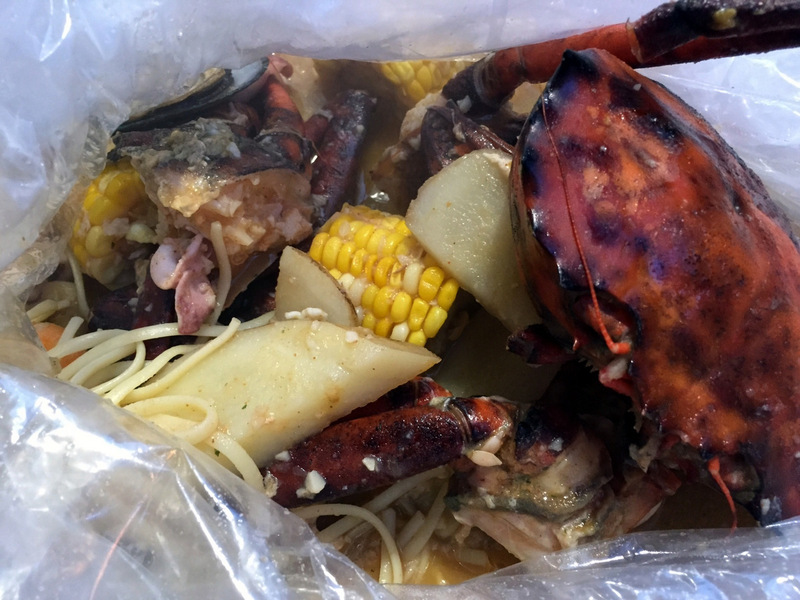 The crab is boiled with other goodies such as corn, mussels, potatoes, sausages, shrimp, squid, and all presented to you with added spaghetti bonus in a bag that can keep things warm according to my rough estimate for 3 weeks. In fact it was so hot that in order to peel the shrimp without second degree burns you would need to take it out of the bag and let it to cool for about 10 minutes. Why did we order another bag of shrimp, only god knows. I would advice no to do so, and concentrate on what they do best here, sweet, meaty, messy crab. Many years ago when Mrs Z and I lived in South Florida, we used to frequent a crab house for baskets of garlicky golden Florida crab. We would get a bib and a wooden hammer, partly to beat the crap of the crab, and partly beat the crap of the table when someones birthday was announced. Imagine 250 people pounding simultaneously on their tables until your ears bleed. Ahhh, good times. 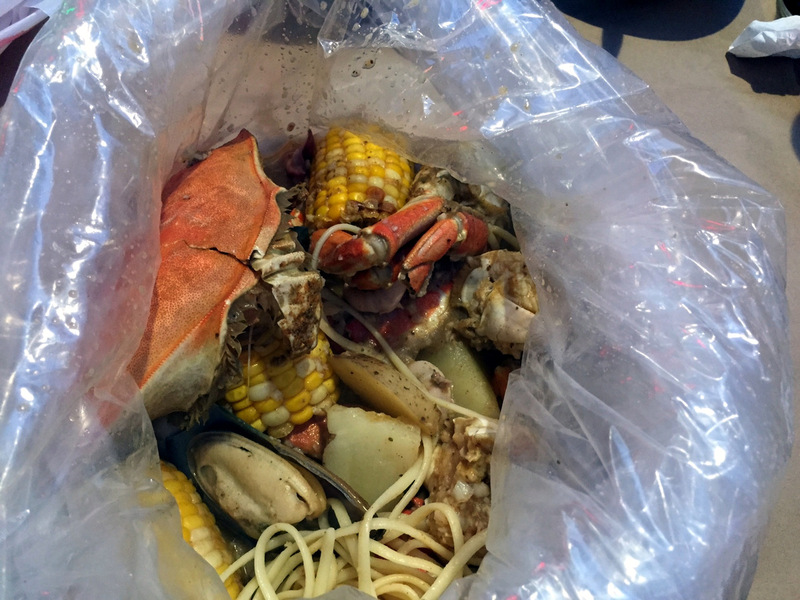 The love for crab never went away, but we very rarely do anything about it. I call it the Family Guy affect. $13 app special. The seasonal $40 Dungeness crab that I was struggling to find on the west coast last month was the bomb! 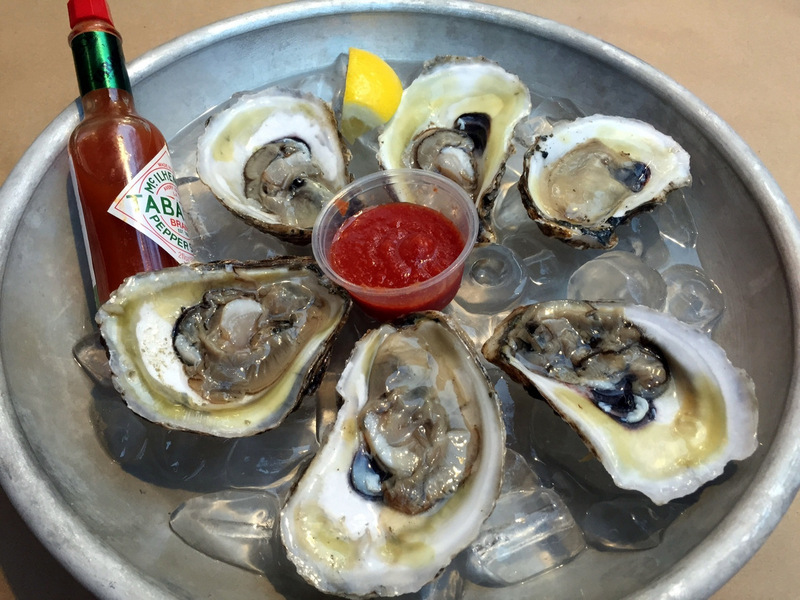 Only to get slightly outstaged by the slightly sweeter $25, always available red Maryland Crab. Bib and gloves are provided, and you might as well put your phone on do not disturb. Not only you’ll be busy for a while but you will get so dirty that you wont be able to take out the phone from your man purse. All the other items in the bag are just there to give you something to chew on between the cracking. Like Crab amuse bouches. 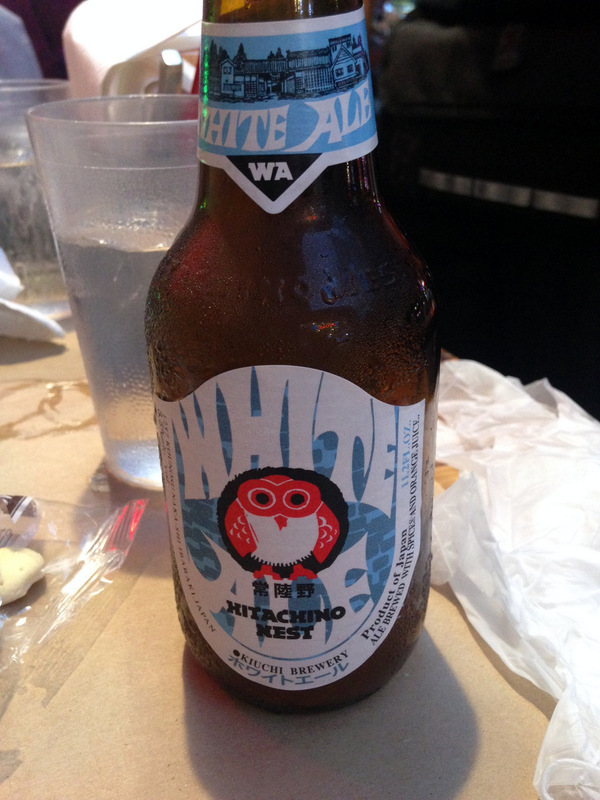 All washed down with my new favorite Japanese beer, Hitachino Nest. Another great find in where else, East Village. GO! I just love the writer.Who is He ? Ziggy, I was wondering what to make for dinner, then I read this today. Okay, off to the Fisherman’s Market to purchase a bunch of snow crabs. Just finished dinner…..yummy! Had them with fresh potatoes and green beans freshly picked/dug from my backyard garden! OMG Marg, you are killing me. The closest thing to something edible growing in my backyard are ants.